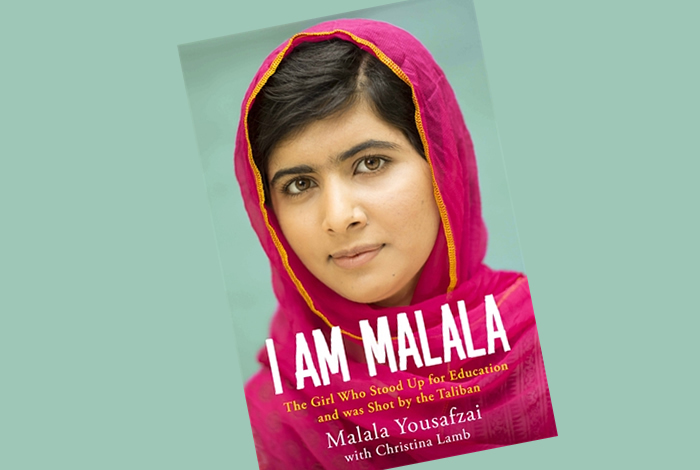 The book, “I am Malala” struggles between the view of a little girl and the view of the mature writer. You see yourself looking through the eyes of Malala, the eyes of a fearsome little Pakistan girl, and later on, you see yourself as you are, looking maturely through the Pakistan political views. You have no idea what the country is all about, but you imagine yourself with no tv, no internet and no newspaper, but you’re wrong. You have all those things but you have them like in the communism time, only with the information you should really know about. So the question begins: How does a little pakistan girl know so much about that political time? Maybe she studied when she decided to write the book, maybe she learned from her father or maybe this was her real passion, politics. The book is very well written, you can see the passages that belong to Malala and the ones that belong to the other writer, Christina Lamb. The story begins with Malala’s father, Ziauddin Yousafzai, the son of an imam (a preacher of Islam), who was instilled from boyhood with a deep love of learning, an unwavering sense of justice and a commitment to speak out in defense of both. Like Mohammad Ali Jinnah, the founder of Pakistan, Ziauddin was convinced that aside from the sword and the pen, there is an even greater power — that of women — and so, when his firstborn turned out to be a bright, inquisitive daughter, he raised her with all the attention he lavished on his sons. The book’s strongest sections pertain to her growth as an activist. Malala’s Web diary quickly became a popular destination on BBC Urdu, especially her strong position on the importance of education for girls. In her view, the “Taliban is against education because they think when a child reads a book or learns English or studies science he or she will become Westernized.” Yet as she correctly points out“, education is neither Eastern nor Western, it is human. The assassination plot turned out to be a tactical error. “I realized what the Taliban had done,” Malala writes, “was make my campaign global.” The Pakistani government condemned the Taliban for this attack, and searched for her attackers. Malala has since won many awards, spoken in front of the United Nations, and was nominated for a Nobel Peace Prize. In conclusion, I invite you to take a look at this girl’s life, this girl’s drama and see how others struggle to have the possibility of education and the freedom of speech! Thanks Gerhard, I really liked it! have you read it? No, not yet, but your review makes me curious. Reblogged this on Traditia esti Tu.